This is an update for Battle Reactions. Originally, all reactions would occur after an action is executed. For example, an enemy attacks you, and you respond by healing yourself after you get hit. This update allows you to control the reaction timing to specify whether the reaction should occur before or after the action is executed. 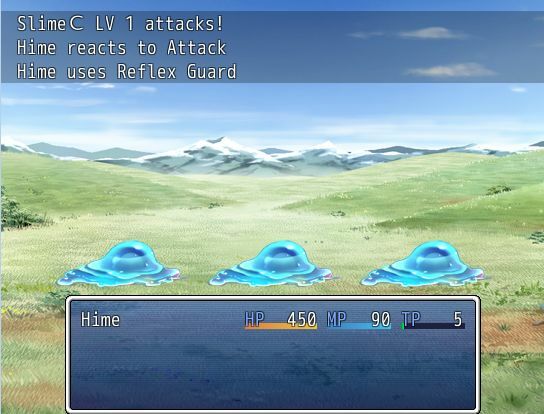 For example, an enemy begins to attack you, and you respond by casting a shield spell to reduce any damage inflicted. See the instructions for details on how to set a reaction to occur before the action is executed. I&apos;ve used this and I&apos;m wondering, could you fix an issue with this? This is a bug introduced by the script? Or something you are trying to accomplish using the script? the actor&apos;s skill to go first ._.